WelCom June 2017: This month WelCom’s journey of faith through the many pastoral areas of the Palmerston North and Wellington dioceses, calls on the rural lands of Central Hawke’s Bay and the Holy Trinity Parish, which includes St Joseph Church and School in Waipukurau, St Patrick Church in Waipukurau and Southern Star Abbey in Kopua, Takupau. The area is also the home to Pleroma Christian Supplies and Social Services in Otane. The Holy Trinity Parish was established win 1982. 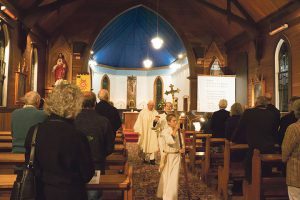 The parish was amalgamated from three parishes – St Vincent’s Takapua, St Patrick’s in Waipawa and St Joseph’s in Waipukurau ‒ St Vincent’s Church has since been sold and moved onto Oruawharo homestead. Early beginnings included a church for Māori opened in 1914 beside an old meeting house in Takapau. 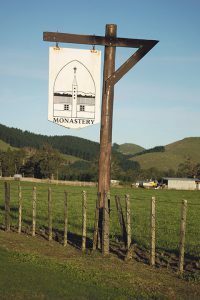 The parish covers places as diverse as Ashley Clinton and Omakere as well as the main centres. Each area in the parish retains its local community feeling. Prior to amalgamation, the pastoral area included Dannevirke and Porangahau. Recent migrants have brought a new era of diversity and multiculturalism to the parish. Parish priest Fr Paul Kerridge sees his role as one of leadership and encouraging spiritual strength. He says that one of the highlights for parishioners was the appointment of Archbishop John Dew as Cardinal. Cardinal John grew up in Waipukurau. 1851-1871: Fr Reignier visited the district. 1871: first church dedicated by Bishop Viard. 1880: Presbytery built and Fr McGuiness sent to take charge of area. 1880s: St Francis de Sales Church, Onga Onga, and church at Tikokino built. 1921: New St Patrick’s Church opened (untouched by 1931 earthquake). 1942: Old boy of St Columba’s School, Fr Alan McKay sm celebrated his first Mass. 1970: Fr Pat Bishop sj, celebrated his first Mass as first Jesuit ordained in New Zealand. 1900: St Joseph’s Church built. 1923: Sisters of St Joseph arrived to teach catechism and school. 1956: Present Church opened, became part of new Holy Trinity Parish. 1990: New St Joseph’s School opened. 1896: Archbishop Redwood consecrated the church. 1909: St Brigid’s Church Ormondville completed. 1911: St Francis’ Church, Onga Onga completed. 1954: Monastery of Our Lady of the Southern Star at Kopua stablished by six Cistercian Monks form Mount Melleray Abbey, Eire. Tradition has it that the first Masses were said in the Wanstead pub and a chapel at Wallingford. 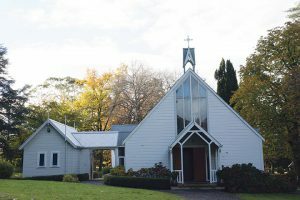 The Waipawa parish built a church in Waipukurau in 1900 and sent the sisters of St Joseph of Nazareth to teach catechism and school in 1923. A church school opened in 1926, a convent in 1930 and the present St Joseph’s Church in 1956. 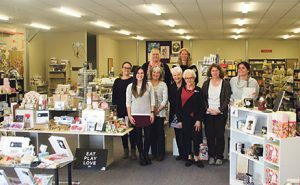 Audrey Moran, a resident of Central Hawke’s Bay who has resided here for her whole life, shared that when she was attending school she could remember fundraising for the new church. ‘We had garden parties and made cakes and sweets to sell’ she said. During her life time, 81 year old Audrey said she had married in the church, had her children Baptised, and they also made their Communions and Confirmations respectively. Her own sister is a Black Joseph –Sister Marie Skidmore, who will be celebrating her 50th jubilee this year. ‘The nuns not only helped with the school but were involved in all aspects of the church including cleaning the church, flowers and other duties. They lived in the convent next to the school, she said. 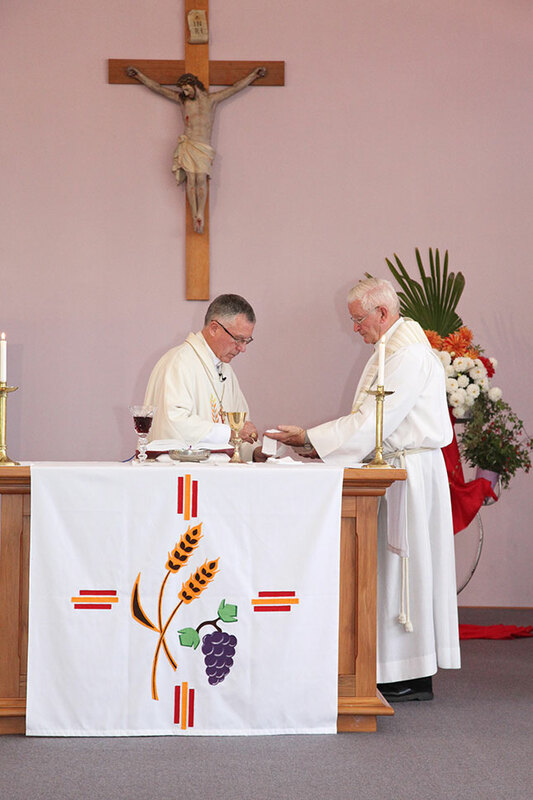 In 1982 St Joseph’s became part of the new Parish of the Holy Trinity, Central Hawkes Bay. 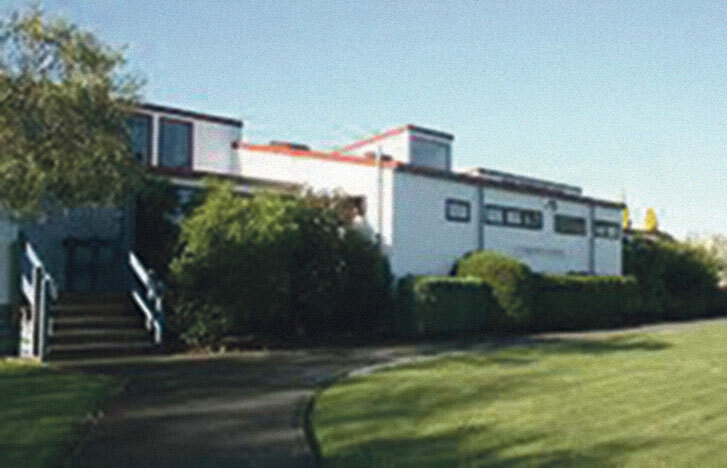 The new St Joseph’s school was opened in 1990. St Joseph’s Primary School opened in 1 February 1926 with a roll of 45. It was staffed by the Sisters of St Joseph of Nazareth. In 1982, the school was integrated into the State System, retaining its special Catholic Character. With the closure in 2002 of St Columba’s School in Waipawa, St Joseph’s became the Catholic School for the Holy Trinity Parish. The school remains a vital link with the parish and continues to flourish. Waipawa in Central Hawkes Bay is the oldest inland town in New Zealand with the township dating from 1860. Fr Reignier sm is recorded as having made pastoral visits from Meanee from 1851 initially on foot then on horseback when a bridle path was developed. However, it seems to have been the push south of the railway line highlighting the spiritual needs of the indentured Irish labourers, plus the growing number of Catholic families in and around the district, that had Fr Reignier writing to Suzanne Aubert in 1870, ‘I’m building a chapel over here’. That chapel, the first St Patrick’s church, was opened in 1871 with the arrival of a resident priest Fr McGuinness in 1879 creating the first Catholic parish in the district. 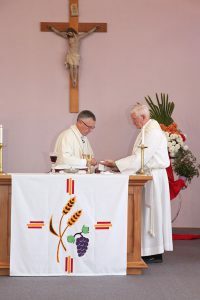 People travelled great distances to Sunday Mass and eventually when the church proved too small for the growing population, it was moved to the back of the property and a new church erected. During the night of 30 March 1920, this second St Patrick’s Church was virtually destroyed by fire. 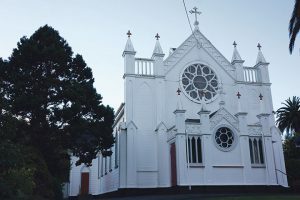 People of all denominations throughout the Central Hawkes Bay district rallied to raise funds to build the third and current St Patrick’s Church, which was opened free of debt in 1921. It withstood the Hawkes Bay earthquake and stands today as a beautiful testimony to the faith of earlier generations. Our Lady of the Southern Star Monastery was established in July 1954 by Cistercian monks from Ireland. Following centuries of their monastic tradition, the monks live a daily life of contemplative prayer, Eucharist, meditation, reading, study, caring for each other and the environment. 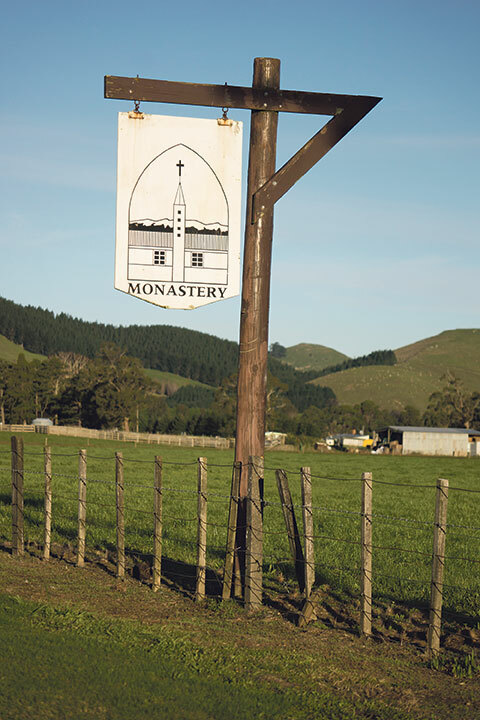 The Abbey is in a beautiful, relatively remote, rural area on a dairy farm between Dannevirke and Waipukurau. Visitors are welcome to visit or to stay in a retreat atmosphere of prayer and silence ‒ he wahi tapu. Monks also go into the diocesan community to teach ‘the contemplative dimension of human existence’. Local parishioners regularly attend Sunday Mass at the Abbey chapel. 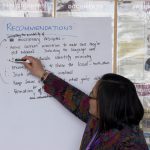 Information about making a retreat is on the website (kopuamonastery.org.nz). 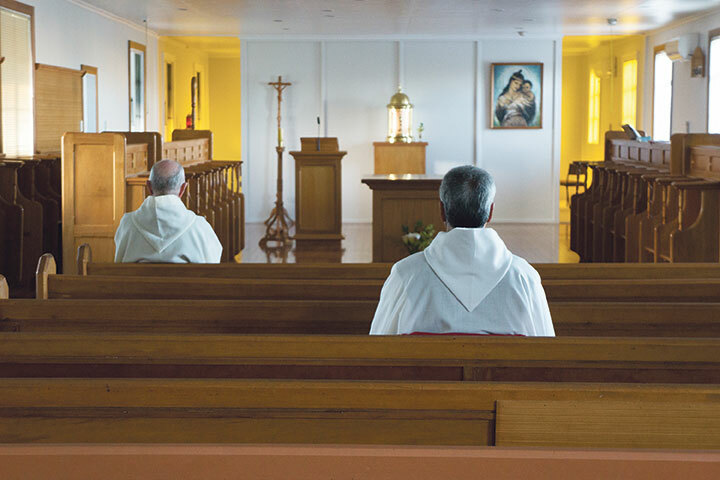 Monks in contemplative prayer – listening to God. Local parishioners after Sunday Mass. Fred Dyer, parishioner and Central Hawke’s Bay Branch President for St Vincent de Paul, received a Civic Award in 2014. The SVdP branch is a small but enthusiastic group that has helped many people in the area. Our President Fred Dyer has been part of the organisation for 16 years and president for 15 of those. Assisting families by giving them furniture, grocery vouchers and in some cases hardship finance is the bulk of our work. 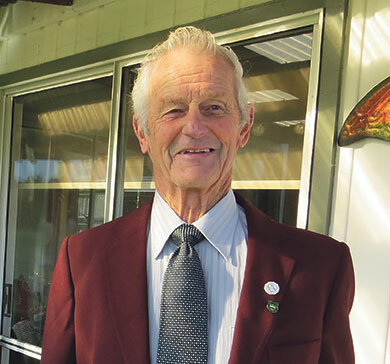 Fred was recognised in 2014 for all his hard work with a Civic Award from the Central Hawke’s Bay District Council. 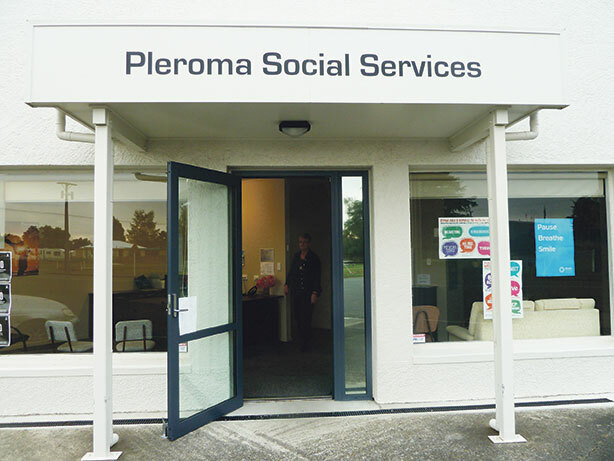 Pleroma Social Services in Otane has been providing services to the Central Hawke’s Bay community for over 39 years. With one full-time and three part-time staff in 2016 they helped over 270 people from newborn to over 80 year-olds. People come to Pleroma wanting to build healthy, non-violent relationships, to move through grief, to manage and recover from anxiety and to make good life decisions. Pleroma regularly runs programmes for children, youth and parents onsite and at other venues. This year has seen an increase in the number of families receiving assistance. Please contact Rachel Mackay at manager@hopestarts.nz or (06) 856-8146 for further information. Suzanne Aubert was a regular visitor to Central Hawke’s Bay striding out sometimes around the coast or through the swamps and valleys from Meannee near Napier south to Takapau. In her correspondence Suzanne thanks a Mrs Brosnahan of Waipawa, ‘now with very best thanks…I will seal it with a most affectionate kiss, after the fashion of very old friends’. On her collecting tours she visited the ‘squatter hierarchy’ of all denominations who became benefactors. But the Central Hawke’s Bay hospitality that we know most about was that extended to Suzanne by the Johnston family of Oruawharo in Takapau. The current owners of the old homestead relate the story of Suzanne arriving after dark and, understandably, taking a short-cut through the bull paddock. She was rescued bruised, battered and very dirty. After a hot bath and sleep she is recorded as advising her hosts that she expected double the usual donation as recompense for her suffering! It is a pleasant irony that when St Vincent’s Church in Takapau was closed the local Catholic community asked that it be relocated in the beautiful grounds of Oruawharo where, lovingly restored and known as Vincents, it graciously serves as a venue for weddings and celebrations. 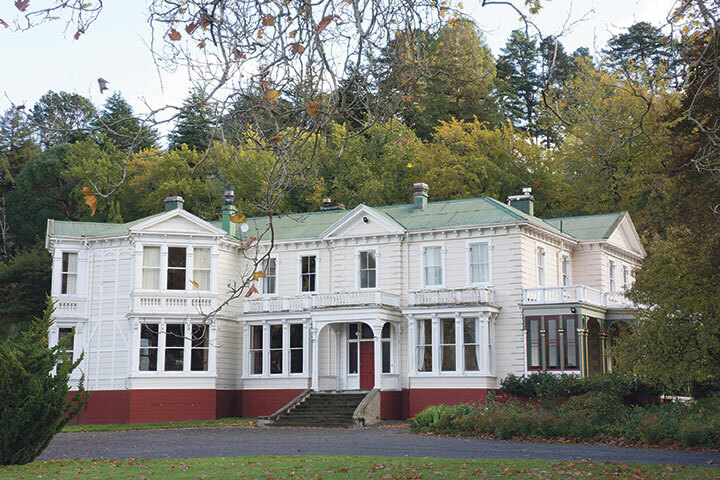 Oruawharo homestead where Suzanne Aubert stayed during her visits to Central Hawke’s Bay. St Vincent’s Church of Takapua is now part of the Oruawharo homestead grounds. 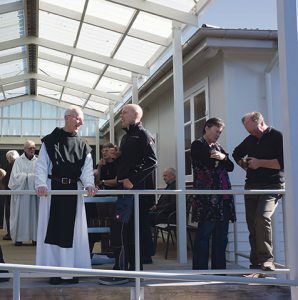 A number of lay and religious leaders grew up in Central Hawke’s Bay, and some of them share memories of this special place. When I think of my Catholic roots, St Peter’s Basilica, Rome, and St Patrick’s Church, Waipawa, come to mind. I first visited St Peter’s in 2004 and I vividly remember being flooded with the sense of arriving home, to the place at the very heart of our faith. However, it is the little St Patrick’s Church, which holds my earliest and most enduring memories of Sacramental worship, and my deepest affection. We lived next door to the church, presbytery and convent, where my childhood association included Sunday Mass, celebration of the Sacraments, and helping the sisters clean the church, polish the brass, and arrange flowers. Sr Eugene taught me the art of removing candle wax from carpet with brown paper and an iron. I also learned about liturgical seasons and vestment colours, and absorbed, as if by osmosis, an appreciation of the role a beautiful building plays in our experience of worship. Midnight Mass with candlelight and lilies, the smell of incense and the pageantry of Sunday afternoon Benediction, the security of familiar walls and words as we farewell a loved one in a Requiem Mass. St Patrick’s is a beautiful building. It has the glowing wood and the stained glass windows of a picture-perfect wedding venue, the Stations of the Cross generations of children have gazed at, an ornately carved pulpit and pressed copper panelling donated by parishioners over the years. Its greatest legacy is the faith community that has gathered under its roof for nearly 100 years. It was where family Baptisms and First Holy Communions were celebrated. All eight of us were married here and our parents were buried from here. From our parish family we learnt about communal prayer, mutual support and the responsibilities that come with belonging. When I visit, the familiar pews, hymns, and warm welcome from parishioners whose faith I have admired reminds me that St Patrick’s will always be our family’s spiritual home. Growing up in Waipawa, the oldest of eight children in a strong Catholic household was a ‘bubble experience’ for me. The Catholic world was my reality ‒ my family and my cousins, friends, teachers and God. 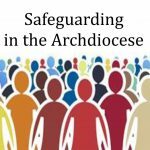 My parents and their friends centred their lives within the Catholic community. 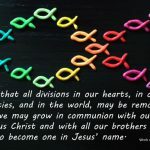 As a teenager, I became aware a Catholic faith gave me a distinct identity and I wondered what it was like not to be part of the Story family and Catholic. I went to St John’s College in Hastings, where the Marist priests’ charism interested me. I loved religious education. My ‘bubble experience’ dissolved when I left home and began study and work. I realised Catholic faith was vitally important to me. Somewhere earlier on the seed had been planted and it was growing. I grew up in Norsewood. 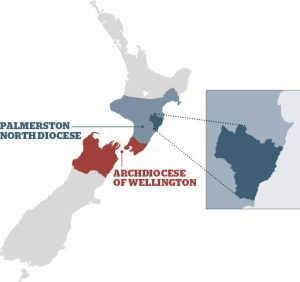 My childhood parish included churches at Takapau, Ormondville and Norsewood. Each Sunday, after Dad had finished milking, we set out for St Brigid’s, Ormondville, for Mass. The church was small and dilapidated, but the community from surrounding farming areas ‒ many were relations ‒ was warm and friendly. My brothers were among the altar boys, responding in Latin and ringing bells. As girls we were relegated to cleaning, a fresh handkerchief reverently popped on our heads, to polished brass, dust and sweep floors. I remember one stunning homily from Fr O’Reardon who encouraged us, not to imagine that ‘hell was your eyeballs sizzling in your eye-sockets’. Captivated by the marvellously macabre image, I could think of nothing else! ‘Big ceremonies’ were held at Takapau: for first communion, confirmation, Holy Thursday and Good Friday. It was special, when after first communion we donned our white dresses and scattered rose petals in front of the procession of the Blessed Sacrament. Fr Lorrigan instigated the building of a new church in Norsewood. In keeping with the Scandinavian settlement it was built in the shape of an upturned Norwegian fishing boat, a Bindalsfaering and was dedicated to St Anskar. It is now the chapel at St Peter’s College in Palmerston North. We attended Norsewood Primary School, but had a weekly ‘Catholics only’ lesson there and at home catechism by correspondence, completing worksheets after answering Mum’s testing of the questions as she cooked tea. As for many rural Catholics, we went away to boarding schools for secondary education. From my Norsewood Form II class there is also a Little Sister of the Poor. Another influence on our lives were the Cistercian Monks who came to Kopua from Mt Melleray in 1954. Local farmers helped them establish their farm, Dad and my uncle among them helping Br Albert with the pigs and the cows. We spent many Sunday afternoons there for benediction again among a community of farmers, friends and family.